I’m sure that your “number one flaw” or lacking feature in WordPress might be different from mine, but this is one that really bothers me. I think the solution is simple. So the question is: Why hasn’t something been done to fix this flaw? Comments are critical to blogs. They are the number one distinguishing feature that separates them from websites, those static billboards on the web. 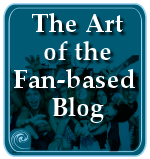 It is through this interaction that blogs continue the conversation started by the author. 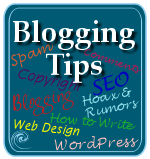 Feedback, input, advice, answers to questions, questions needing answers, all enrich the dialog that makes blogs blogs. In WordPress, while comments recently got a front place offering with their own tab on the Administration Panels, and WordPress.com blogs recently added a paging feature so you could access more than 20 comments, including past comments, it still lacks a lot of control that I think a well-designed blogging program should offer. Here is the process users currently use to process comments on their WordPress blogs. Click the Comments tab on the WordPress Administration Panels. At a glance, you can tell how many comments are waiting in Moderation, and, if you are using Akismet comment spam fighting tool, the number of comment spam waiting for your inspection, if you care to inspect them for false positives. You do not have information on how many comments are waiting for you. To see comments on your WordPress blog, click Comments if you are not already on that tab panel. The comments are listed chronologically, from most recent to oldest. You have no idea how many are new, so you scroll down the list until you recognize one and know that all above those are new. The Comment Panel lists the name, email, and URL/Domain each commenter added to your comment form. The IP address from which they posted the comment is also listed. Below the source information is the comment, and the date and time and a series of links offering Edit, Delete, Unapprove, Spam, and View Post, though these links may be different for your WordPress version. To determine which post the comment belongs to, hold the mouse over the View Post link and if your browser is so enabled, you will see a balloon tip popup with the URL of the post, and/or the URL in the status bar of your browser. 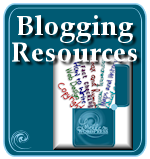 If your blog uses permalinks, the title of the post will be in the link. If not, I hope you know which number equals which post. For those still using older versions, you would see “Edit Post: Post Title” with the title of the post. To reply to the comment, click the View Post link and the full post will load in the browser. Scroll to the bottom of post, past the comments and trackbacks, to the comment form. Enter your comment. Hit the submit button. In some WordPress Themes, the page will reload and return you to your comment so you can see what you wrote. In most WordPress Themes, the page will reload and you will be at the top and then have to scroll back down to read your comment. To return to the Comment Panel, click the browser’s back button twice, or use the drop down back button menu to go back two windows. Repeat process with another comment. For a blogger who gets one to two comments a day or week, this is a minor burdensome process. But for those who get five or more a day, this is a tedious and inefficient process. To make the comment process easier in WordPress would take only a few improvements. List Number of Comments Waiting: If Comment Moderation and Akismet can tell you how many new comments are awaiting your attention, why shouldn’t the same be offered for comments? The excitement of seeing “Comments (1)” might cause some bloggers to pass out with the thrill. Make the Post Title Readable: Instead of using “View Post”, go back to the old method of turning that link into the title of the post. With a glance, the user would know which post the comment refers to. If you need clarification for the idiots, have it say “View Post: This is the post title here”. Allow Reply Without Visiting the Post: How bad is your memory? Most comments come within the first week of a post’s release date. Occasionally, they will appear later. Still, most of us can use a post title to recall the post content and help us respond to the comment. Why should we load the full post in the browser and scroll down to make a comment? Allow us to reply without visiting the post. With new Ajax features, give us a Reply button so we can enter our reply in a popup or drop down form. We can then click “Send” and it’s posted on the page without having to reload pages and play with back buttons. WordPress.com bloggers have this feature in the Administration Panels Feedback form, so why not add this same technology to comments? Since it should then automatically appear in our Comment Panel, we can skim it for errors or corrections and then edit it accordingly. Big time saving! 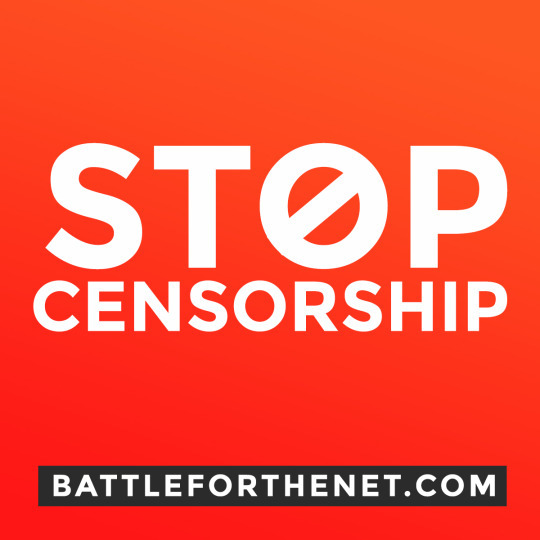 If Not, Then Make the View Post Link to the Comment Form: If we have to suffer through a visit to the actual post in order to comment, why not make it easier for us to reply by making the “View Post” link (with title, please) open the post page and jump automatically down to the comment form. This would be a little more complex as some WordPress Themes don’t use a consistent “comment” ID, but let’s find a way to make this easier and faster. To follow through on this, at least with WordPress.com blogs, add a “Return to Comments” link in the dashboard menu bar at the top of the page to help us get back to the next comment as fast as possible and skip all the back button issues. See number of comments waiting for you. Shout and do a dance. Somebody cares! Reply from the Comment Panel, checking for errors immediately after posting. Or take time to visit the post if you can’t remember it and comment from there. Click the Write Tab and start blogging your next post. As I read through a waiting comment, I am already forming my reply. However, waiting for the post to load, then scrolling through the long article, past trackbacks and comments, I tend to get distracted and lose my train of thought. Don’t you? The easier comments are to manage and respond to, the happier WordPress bloggers will be, and the better the conversation. This entry was written by Lorelle VanFossen and posted on December 16, 2006 at 2:29 am and filed under WordPress, WordPress News, WordPress Tips with tags how to use wordpress, wordpress, wordpress help, WordPress News, WordPress Tips, wordpress tutorials. Bookmark the permalink. Follow any comments here with the RSS feed for this post. Post a comment or leave a trackback: Trackback URL. I completely agree with you Lorelle on the suggests for improving the WordPress comment system. I often wondered why we could see how many Akismet spam/comments were waiting but not actual comments. So much information is collected and stored in the database already, it just takes a simple line of code to call comment totals into the dashboard. Who knows, maybe for an early Christmas present, the WordPress development team will surprise us all with some improved comment features? I know 2.0.6 is just around the corner with 2.1 hot on it’s tail. My problem is a different one (I use WordPress.com): How to get people to write comments. The only invitation to do that is a small speech bubble at the bottom of each entry, next to which it either says “no comments” or “x comments”. I think there should be something more prominent, more inviting. Of course I could add a line to my entries, saying “Write a comment on …”, “What is your opinion on …” or something like this. But maybe the code is already available and could be added automagically? It’s been my experience that when a spam comment makes it past Akismet, a number of them will. A way to mark a comment as spam and kill it from the comment panel would be great for those comments that do sneak through. As it is now I have to go in an edit each comment. A more obnoxious defect, because it impacts readers, is the ugly unstyled error messages WordPress servers up when someone tries to post an empty or duplicate comment. In these circumstances, wp-comments-post.php displays a completely blank screen with an error message printed along the top. It’s a ‘die’ message from PHP. No help is offered the reader, and no way out. I discoverd this while I’ve been building two versions of the same site, one in WordPress and one in Movable Type. MT traps these kinds of error and displays an editable and stylable page. Why hasn’t WP fixed this bit of unprofessional lameness? This should have been fixed years ago. Don’t people test to see what happens when someone submits an empty comment or the same comment twice? Theme. If you are using the full version of WordPress, you can change it to whatever you want. And I don’t think this is why people don’t comment. Most people are used to seeing the various “core” phrases used in these titles. People comment when the blogger says something worth commenting on, not just because there are comments. billyg: The issue of the blank screen or white screen with an error message is one I’ve brought up to the “fixers” many times. I know they are working on it, but you are also very right. Excellent ideas, Lorelle! For popular blogs, comments make up a great deal of the site’s content; having a more efficient and intuitive means of managing them would make quite an impact! This is your best post in months, Lorelle. Please continue a series of “flaws in WordPress”. We have been cheerleading too much, evaluating too little. Comments are so badly done in WordPress that they might have been coded by Microsoft. People still use FORUMS (which I hate) because getting a conversation going on blog comments is so troublesome. Number 1 feature request for me is “subscribe to comments”. I used a plugin on my blog but most do not have that feature. Thanks, Rick. You do know that most WordPress Themes come with a “subscribe to comments” feed in the post meta data section, though I’m seeing that section disappear or be minimalized on a lot of new Themes. That’s an auto-subscription without the email version, too. Personally, I get hundreds of email every day that I can barely keep up with so this is not an option I like at all, though I have offered it on some of my blogs. What I hate is having it checked by default and placed below the submit button, so I don’t see it until after I hit the button. That ticks me off as I then have to deal with the incoming email and unsubscribing, which is painfully tedious. So I’m not a fan of this feature, though I see it has it’s use. What satisfactory built in “Archives” / “Sitemap” options does WP offer? Ultimate Tag Warrior helps here, of course. However, the presentation of information in archives and the ways to achieve maximum usability for any content no matter when or where on your blog is something that will require quite a few plugins to make it satisfactory, which indicates a shortcoming of the main product. Yes, the search function in WordPress is a bit lacking, but the rest is choice, and in a way, cosmetic. They are things a WordPress Theme features and up to the Theme designer and the user. There is a default “archives” template file which many WordPress Themes don’t take advantage of. And there are site map (not sitemap – a different subject) options available, but they do different things and present posts differently, so inclusion is a personal preference, no matter how much I personally am a fan of them. The tagging issue is one frequently brought up, but WordPress was first in the door with automatic tagging of all categories. And tagging, as we know it now, is still less than 2 years old and still growing and changing. It’s not the end all and be all of post categorization as everyone thought it would be. Even Technorati search results search content not necessarily tags because they found tags were lacking, too. I consider none of these justification for major shortcomings. WordPress is still the best bet on the lot of all the various blogging programs, and it’s free and highly customizable. That’s the slick part of WordPress. Don’t like it, fix it, change it, improve it, or search for a WordPress Plugin that does what you want. However, comments are a hard one to fix as their fix involves core programming changes, not simple cosmetic ones. Amen. A-freakin’-men. I’ve often found myself fighting tooth and nail with WordPress to get a feel for the comment management system, but no matter how much you try I just haven’t been able to. In fact, it got to the point where I was considering writing a plugin to do basically everything you’ve outlined, as well as being able to mark comments as spam/delete them on the actual post page (same way that you can edit posts when you’re logged in). Perhaps I will if I get a free moment sometime. Anywhom, nice list of ailments, you’re far from alone. Comments have never been my biggest problem, but I agree they could be done better. I’m highly anticipating the change that will hopefully make it into WP 2.1 which will allow you to add child categories right from the quick box in the write post screen. And I have to agree with ihad, the search is terrible. 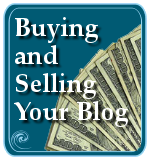 Search is an extremely important part of a blog. I would have to agree WordPress is the best, though most of the prettiest I’ve seen are often movable type. I agree that there’s a flaw with comments. However, I would say that root cause is the complexity of the admin interface. To a newbie blogger (and I’ve assisted many), the administrative interface is daunting… even when it’s paired down for a contributor. I would recommend the line between admin and interface be blurred. In other words, a single interface for the entire blog. It’s just that you, as an admin user, would be able to see all of the options. This would be great as well because your admin interface would look as great as your user interface. My personal gripe about the WordPress comment system is the complete lack of a comment preview loop. I would add that the second flaw is that comments can’t have their own life independ from the originating post, that makes long list of comments very difficult to read. As WP family now has a little child (BBPress) it would be very cool to have the first X comments (X been a settings in the admin) displayed und the post and the other ones managed by BBpress with a transprent switch form WP to BBPress. Totally, absolutely, 100% agree on the ability to reply to comments from the Comment Panel – would make life a lot easier. I’m no plugin developer, but surely it can be done. Kudos for bringing it up. Excellent Article. should actually be sent to Matt and his team, and I think you know how to reach them. 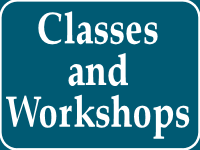 I’m in the process of moving my Dotclear blog to WordPress. Comments is one thing that I think should be improved in WordPress. I agree with what you said. Your suggestions, I’m sure, would make comments’ management in WordPress a lot more easier and friendlier. I’d also like to see a way for the readers themselves to organize comments. For instance, give them the choice to sort them chronologically, reverse chronologically, threaded, paged with x number per page, ignore comments from specific users, etc, all done on a per user basis. Live comment preview is a nice novelty. A preview option is also a nice novelty. I find the preview loop annoying and frustrating as other blogging services use it. It makes the whole process of posting a comment more time consuming. But then I’m one who thinks through my comments pretty thoroughly before wasting my words on someone’s blog. I rarely want to edit or take things back, which is part of the main reason for such things. Live comment preview is a big consumer on a blog, so I removed it from my blogs. And unnecessary. Nice. Handy. But I’ve never seen them actually prevent ugly, stupid, misspelled, or poor grammar. That’s a lot of gizmos to put on blog comments. Sounds more like a Digg or forum style. And a lot of crap to load into a browser if you only get one or two comments on a blog post. As the default for the core programming, I think simple is better, and such threading capabilities can be added with WordPress Plugins on a full version site, if the site is heavily commented by people who have time to whirl and click comments on a blog. Neat idea, though. comments are important for all projects in the web, not only blogs, because from comments editors can see the reaction of users and can make conclusion, what visitors hopes from websites. So does anybody know of any plugins that can help with these issues? You can try another WordPress Administration Panel Theme but the real fix to most of these issues is in the core programming, not a simple surface change, except in the issue of showing the post title. That’s a brainless addition. I’d also love to see comments attached to views such as the main page, categories, archives, and even tag views. Why limit users to comment on posts when other views could have relevant and compelling reasons to comment? Anyone know of a plugin that extends this functionality to the wordpress comment system? Interesting thought. I’ve seen comment scripts that allow someone to comment on a lot of things, but they tend to be cluttering and confusing. The issue of comments on tag, categories, and other multi-post views is that this is an ever-changing page view. Today’s list of posts on the front page may be different a week from now. So how would those comments be attached to such a page? By the post? Interesting idea, but think the whole idea through and see what you come up with. Hi, there. First, great blog. I was having the very same issue, and decided to code an Ajax solution, if you want it, email me, and I’ll send it to you. It has some tiny little issues, but it serves the purpose. What this thing does is to put another link in each comment that says “Reply Now”, when you click it, a form (well, only a textarea, since you don’t need to put your name and stuff) is displayed right beneath the comment you want to reply, and when you click the button “Reply” it replies the comment without reloading the page showing the all-famous nifty loading gif until the process is completed, then the textarea dissapears and in its place appears “You replied: [what you replied here]”. The thing is, since it doesn’t reload the page thanks to ajax, the new comment is not listed until the next reload of the page, but instead you know it was replied because it appears “You replied: …”, I think may be this is one thing to fix, nevertheless, I use it this way and it’s pretty comfy, a whole lot better that regular replying. If you want it, to use it or upgrade it, just send me an email and I’ll give you the source code. It sounds good, but Cindy of Digital Ramble is also working on a solution and it might be a good idea to contact her so you could combine your efforts. Thanks! I have just released a plugin that does just that, allows you to reply from within admin panel and allows you sort comments based on post. I will add the feature where post title is displayed and also a couple of other features. You can check out the plugin here, but if you wait until tomorrow you will get the full featured plugin. I’m totally new to WordPress.org (used to blog in wordpress.com). Gosh, i’m having a lot of problems with the comment. When users posted a comment in my blog, i no longer receive the email notification like last time. Can anyone tell me what’s the problem? I’m completely stuck here. p/s… related to the comments for wordpress.com (and .org)…yeap, the layout of the comment screen looks weird to me. I’m confused. You say you are new, but then you reference “last time”, but I’ll do my best to answer. To turn on email notification of comments, go to Options > Discussion and choose “Email me when someone comments”. If it is checked, then you may have an incomplete installation or conflict with another emailing WordPress Plugin. Uncheck and update the options, then recheck it and update it again and see if that works with a test comment. 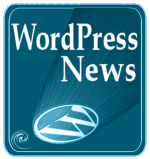 You can also get help from the WordPress Support Forums. I’m with you, Lorelle. Right now I’m using the Better Comments Manager plugin mentioned above. It’s great, but I really wish it could be the only comments manager in place of the original without sacrificing upgradability. I would like to see managing comments become the first thing you see when you log in, but I know others wouldn’t. Plugin “Spam Karma” – analyses comments, appointing each the karma. very quite good, I use them, but sometimes he suddenly sends in a spam already recommended itself as normal comments. I was thinking of something else while reading this article . Why isn’t it possiable (or should I ask ” IS IT POSSIABLE?” ) to manage the comments on a DIFFERENT page other than the one where the actual post is ? Manage comments on a different page? I manage comments from the WordPress Administration Panels Comment panel. Using WordPress Comment Ninja Greasemonkey Script for FireFox, I never respond to comments directly in the post any more. It’s wonderful, and should be built into WordPress. I agree 1000%. It would be so nice to just reply to a comment from within the comment admin screen. It would be a big time saver. Until it is built in, why not try WordPress Comment Ninja Greasemonkey Script by Engtech of Internet Duct Tape for FireFox which I’m currently using and allows me the ease of replying directly from the comments panel. Love you posts Lorelle! I’m struggling with comments myself – what about feeds for comments only related to a specific author? Could an author subscribe to an rss feed for all comments related to their posts? I don’t think there’s a way to do this in wordpress and I think that’s a big need. yeah, I figured as much, but I’ve spent way too much time searching for it and I’ve come to this conclusion – I’m either the only one who’s ever thought to do this, or it’s impossible…custom query?? Thank Gad there was a head blowing problem for me to accept the comments. Since wordpress is using php, there’s so much thing confusing me. one of it is akismet, which so much helping me in handle spam. For the majority of people using WordPress, they have no clue what’s under the hood or anything about PHP. Sorry you are peeking under the hood. It’s not necessary.